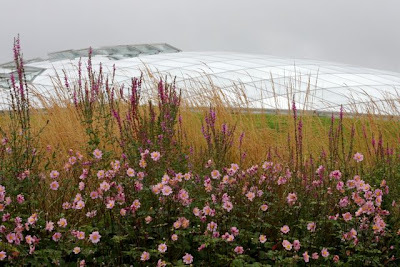 National Botanic Garden of Wales - you'll be amazed by what grows here! Where in the world do you find plants in so many shapes, sizes and textures that you think you might be on Mars? 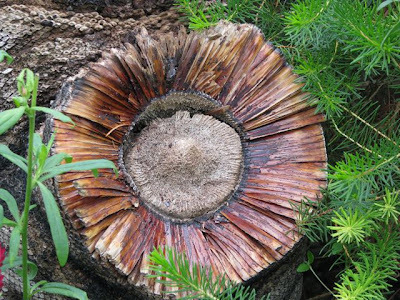 Take the one above - this is surely a work of art, not a plant? But this is the kind of unusual sight you can expect to see at the National Botanic Garden of Wales. Opened in 2000, it stands on the site of a former Regency estate and extends to some 500 acres. It was not without its critics when it opened, but now, just under a decade later, it has some of the finest and most unusual plants in the world; enjoys a spectacular setting; draws hundreds of thousands of visitors a year; and has become a favourite with families, plant enthusiasts, and tourists, who come variously to marvel at the giant glass house, the planting and the scale and grandeur of the sights on offer. 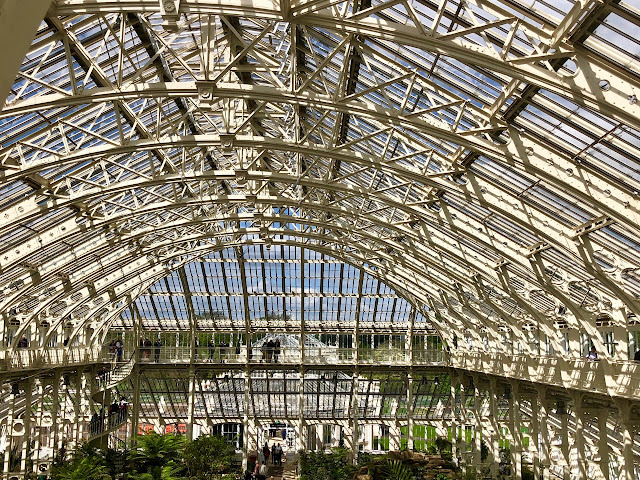 The great glasshouse (above) - the largest single-span structure of its type in the world - is reminiscent of a giant flying saucer. You can see it from everywhere in the garden and it houses some spectacular floral sights! Inside it is divided into the five Mediterranean climate regions -California, Western and South Australia, Central Chile, the Western Cape of South Africa and the Mediterranean basin (including The Canaries). You won't be disappointed by what you see here - the range of plants is extraordinary - as is the carefully designed landscape, that includes white sandstone cliffs, gravelled slopes, rocky terraces, stepped walkways and bridges, waterfalls and ponds! I honestly forgot that I was in Wales as I explored the glasshouse! Everywhere you look in this glass-topped garden, there is something different and more spectacular to see - Africa is represented with Proteas, Leucadendrons and bromeliads; there are Berberis and Escallonias from Chile; a full range of Ceonathus and oak species from California. 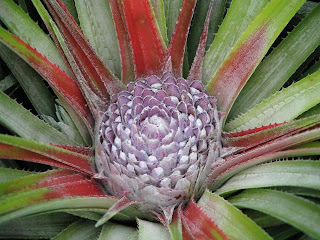 These are just a few of the unusual plants on offer, but what will strike you is the extraordinary range of shapes, colours and textures under one roof. strolling through the many different areas including the Japanese and Bog gardens; the amazing double-walled garden, with fine floral displays and its tropical house, where the orchids rival those found at the Marie Selby Garden in Florida; walk by the lakes; or just admire the Welsh rolling hills. There is something for everyone here at the Botanic Garden and even though the critics were quick to say that it was spartan and underplanted at the outset, you couldn't argue that today! I'd be happy to spend a week here, just photographing the extraordinary plants, and marvelling at the glasshouse, both outside and in! And the best news is that this really is a garden you can visit in all weathers, because you can shelter from the rain inside and still enjoy the plants. Botanical gardens are indeed great. The first picture really looks like a flower carved out of wood. Another lovely garden. The glasshouse looks like water...as if it is the ocean off in the distance. Love the first and last pictures. The contrast of the hard brown and the delicate lavender. Now just what kind of plant is that first one? It sure does look like it belongs on Mars. England would be such a wonderful place to tour gardens. Such history and maturity-not the mention the cool cool castles. Loved my tours. The last picture is my favorite. Pink and gray. Hey, it is kind of spartan, ha! I like your blog. Wales is indeed full of lovely gardens. 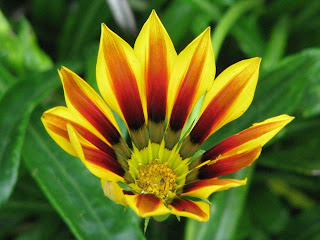 Your blog is stunning and wonderful. How interesting the work your doing now, crating the foundation in India. I went there four times for spiritual retreats and most of all I did LOVE indian people and food. You're right about plants being very diversefied...sometime so much it's almost crazy! Thank you for a tour of National Botanic Garden of Wales. Truly a treasure. Oh I love unusual plants! 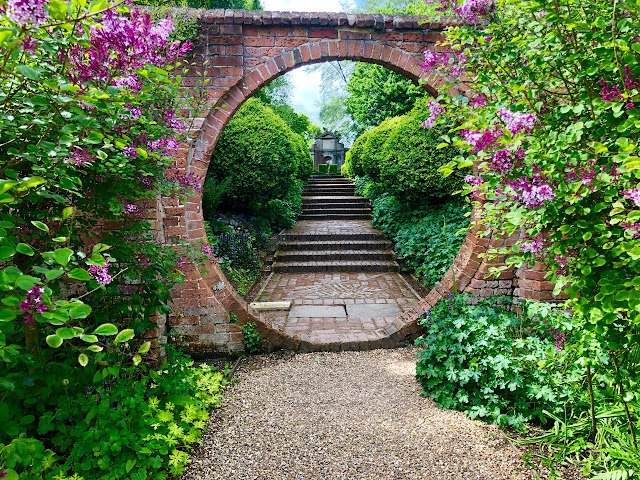 Great photos & now I want to visit the garden! I did not know about this garden and am so glad that it came about. 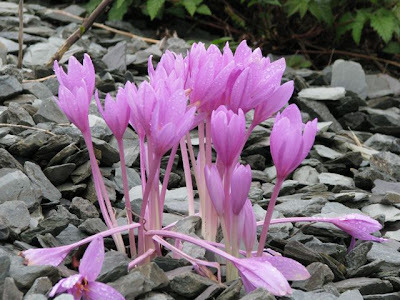 The photo of the colchicum is marvelous. Thank you for the tour, you indeed have an educated photographers eye. Shape and texture is as pleasing to observe as the color of the finest flowers. I envy your travels.